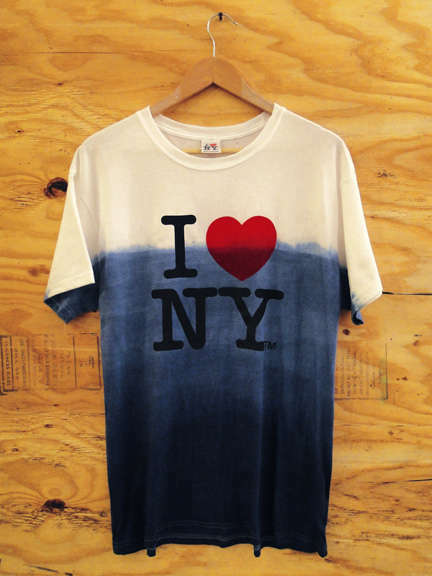 The iconic I NY t-shirt has been re-designed for the purpose of raising money for the hurricane relief. Designed by Artist Sebastian Errazuriz, the shirts are inspired by the water lines in the city after the streets were flooded from the power of Hurricane Sandy. The shirts are dip-dyed to create this water-logged image. There is also a version that features the NY City subway map. It was said that the line where the dye ends indicated the division in the city between those who still had electricity and those who didn't. Click here to purchase a t-shirt.